Tiger Brands, SA’s biggest consumer foods company, was reeling on Sunday with the source of a listeriosis outbreak traced to its Enterprise meat factory in Polokwane, amid accusations that it had not followed proper food-safety procedures. Altogether 180 people have died, with almost 1,000 cases confirmed since listeriosis was first detected in January 2017. The discovery was announced by Health Minister Aaron Motsoaledi on Sunday. Tiger Brands was informed earlier in the day. The finding has triggered a large recall of all Enterprise ready-to-eat cold meat products as well as polony products produced by RCL, after an unidentified strain of listeriosis was found at its Free State factory. Thomas visited the factory a month ago when government officials accompanied by World Health Organisation technical experts took more than 300 environmental samples. Tiger Brands spokeswoman Nevashnee Naicker denied the claims that safety measure were inadequate, saying that “stringent monitoring and testing protocols, including for the detection and management of pathogens, viruses and bacteria, including listeria” were in place. Protocols were certified by DQS, an international certification body, she said. Tiger Brands CEO Lawrence MacDougall said on Sunday afternoon that the group had undertaken a full national recall of the affected Enterprise ready-to-eat meat product range. “We are being extra vigilant and cautious as consumer safety remains our highest priority and therefore immediate action is being taken. “Additionally, we have suspended operations at both Enterprise manufacturing facilities in Polokwane and Germiston and have halted supply to trade,” MacDougall said. Tiger Brands had to recall its range of Tastic Simply Delicious sauces and ready-to-eat rices in 2014 after some products tested positive for traces of banned carcinogenic colourants, including the industrial dye Sudan 1. RCL Foods said its Wolwehoek processing plant had taken the precautionary step of suspending all production of Rainbow polony and was recalling all Rainbow polony products, although results of tests on its polony were pending and the specific strain of the pathogen responsible for the outbreak had not been traced specifically to the Wolwehoek facility. However, Motsoaledi said that more than 10% of samples from the Wolwehoek facility had tested positive for listeria. Uncooked processed meat has frequently been linked to listeria outbreaks around the world. Listeria is a bacterium found in soil and water and can cause food-borne disease when it contaminates food. It thrives in fridges and is killed by cooking. Scientists were led to the Enterprise Food factory after five children were admitted with food poisoning at Chris Hani Baragwanath Hospital from a crèche that had served Enterprise polony and Rainbow Chicken polony. The polony tested positive for Listeria monocytogenes ST6. The strain of listeria found in a second Enterprise processed meat factory in Germiston was still being identified, Thomas said. The National Consumer Commission has issued investigation notices to Rainbow Chickens and Enterprise Food. Anthony Clark, an analyst at Vunani Securities, said the products being recalled were a small part of a “huge food business” and would not have a dramatic effect on the revenue line of either company. Perishables accounted for just 1.7% of Tiger Brands’s domestic food business, which was worth R24bn. Clark said that the way Tiger Brands and RCL Foods handled the situation in terms of consumer communication, recall and support for the victims and ill people would influence how quickly they recovered from the crisis. Lionel October, Department of Trade and Industry director-general, said that there had to have been a drop in the standards in food testing by these companies. “It is clear there was a break in the procedures of testing and quality,” October said. 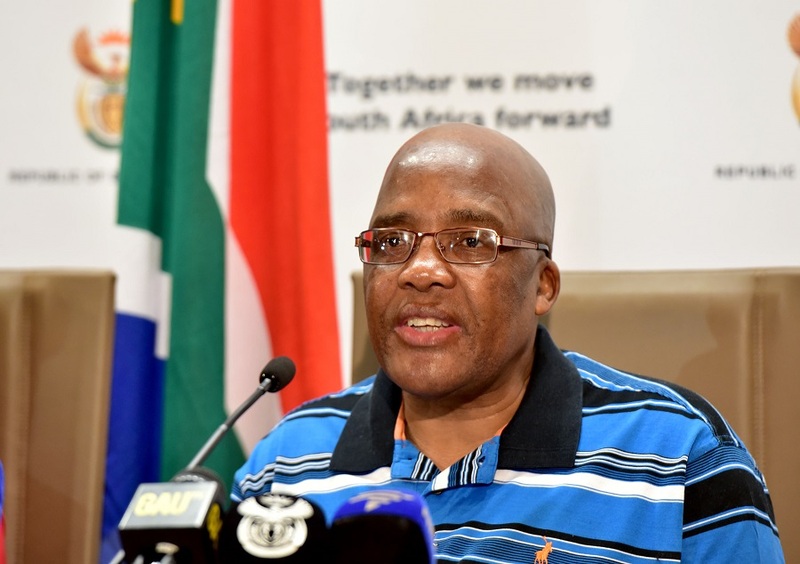 Motsoaledi said that one of the problems that had led to the outbreak was that health inspectors — undertaking random testing at restaurants and food production facilities — were employed by municipalities. Due to financial pressures, employing health inspectors was low on the priorities lists of some municipalities, he said. Retailers acted swiftly. Shoprite and Pick n Pay announced that they had withdrawn the products. One of the reasons it is so hard to find is because‚ even in solid food‚ a scientist may sample the infected food and not find it. For example‚ a slice of polony could be tested and have none of the micro-organism, but a different slice could have it. Even if you sanitised a factory‚ you might miss the bugs hiding in cracks‚ she said. Motsoaledi said that people at risk such as pregnant women‚ those with HIV and those with weakened immune systems had to avoid all ready-to-eat products such as viennas‚ polony and frankfurters. Such products could be cross-contaminated in shops as they are often stored next to polony. A Rainbow Chicken factory in Wolwerhoek in Sasolburg also tested positive for listeria monocytogenes — but it was not the strain causing this current outbreak. The polony from Rainbow Chicken has also been recalled. Enterprise issued a statement on Sunday saying the company had “proactively amplified” its testing for listeria and could confirm that it found a “low detection” of a strain of listeria in some of its products on February 14. But‚ the company said “the presence of the ST6 strain has not been confirmed by our tests”.